Today’s photo was really hard… at least at first. The day 8 photo subject was “something orange”. Now, I really don’t like orange. I mean really. don’t. like. orange. I have no orange clothes. I have no orange furniture. I don’t even have oranges in my kitchen. On top of it all, it is winter. There is nothing orange outside either. No turning leaves. No orange flowers. I was at a complete loss until I started looking through my bookshelves. And then I found it. 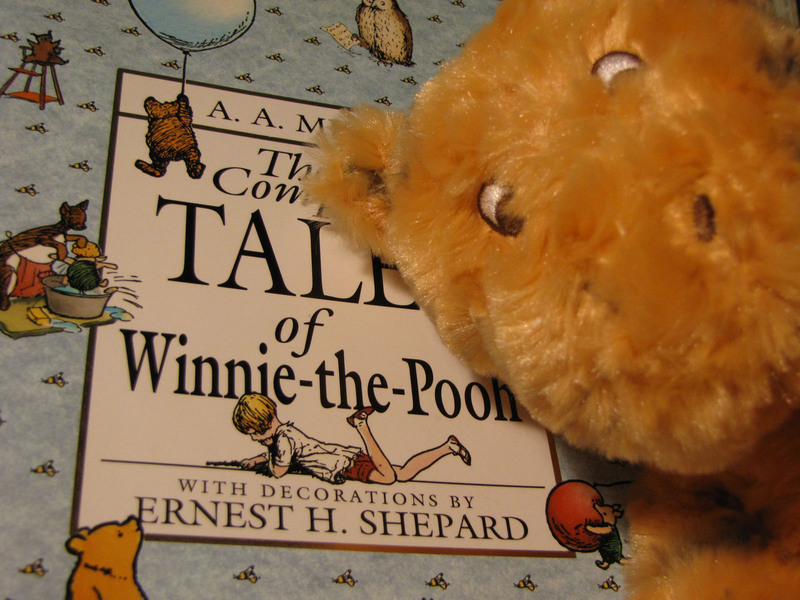 My book of Winnie the Pooh stories. Anyone who has known me for a while knows that I love Tigger. College friends will remember a certain Tigger sweatshirt I wore often. (Oh yeah… I was cool!) I have countless plush Tiggers all over the place. You would think I would have thought about Tigger sooner. But no. I think Tigger is disappointed in me.